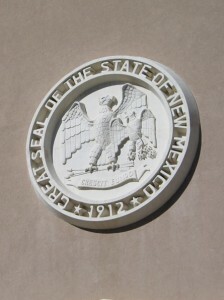 The Center for Civic Policy is founded on the fundamental belief that the people of New Mexico have a right to expect public policy-making processes that are fair, transparent and accountable. Accordingly, the Center strives to provide the public with accurate and current information about the policy issues that impact the life of their communities, and above all, to engage and involve underrepresented communities in these critical decision-making processes. Some of New Mexico’s most entrenched problems centers are rooted in issues of generational poverty, income inequality and low-wage jobs. Compounding these problems are distressingly low rates of voter participation in many of our underrepresented communities — especially among youth and people of color. Therefore, a major element of our work involves engaging future leaders and mobilizing new voters. Encouraging civic participation within these communities, we seek to promote the vitality of our democracy and contribute to sustainable and responsible change in our state. CCP collaborates with a number of partner organizations to share tools, identify best practices and test new strategies for issue advocacy campaigns and nonpartisan voter mobilization efforts. Our philosophy emphasizes an integrated division of labor with partner organizations, rigid experimentation with impact, and the measurement of external metrics.